On Monday Bennelong Northside hosted an away event for the West Sydney Summer Series. On WHO's Winston HIlls map, Terry Bluett set out an award-worthy score course throughout the small street blocks, parks and creeks. 38 westerners and traveling O-fanatics rocked up for the fun. There were quite a few first timers amoungst them! Find the results here. Sunday November 4 marked the first event in this season's DuO Adventure Series, a foot and mountain biking orienteering series. 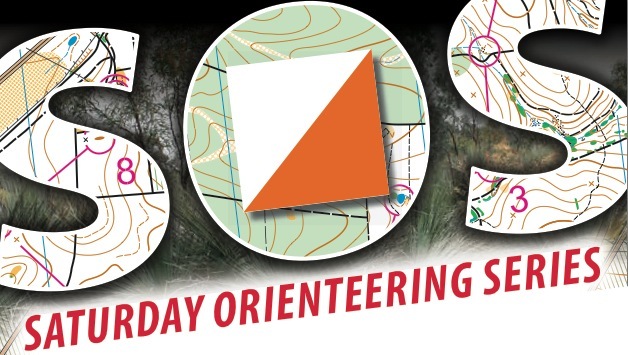 Not only is the series giving foot orienteers a break in to the world of MTBO, the series is attracting adventure racers to orienteering and providing a great opportunity for racers to sharpen their navigational skills. While the weather was a little warm, it was thankfully dry and the day attracted almost 100 competitors; an amazing attendance and evidence that the format is popular! Bennelong Northside made a respectable showing and had some decent results! Unfortunately Pierre had a DNF due to a mechanical failure. Hopefully he can replace his rear derailleur in time for the next event at Blue Gum Hills on December 2nd. A big thanks to series coordinator Greg Bacon and all the volunteers on the day!!! On Saturday afternoon an excitable group of orienteers gathered at Castle Hill Showground for the OANSW 2012 Annual Presentation dinner. This year to add to the excitement there was a 35-control score event for teams of three around the bush and sportsgrounds of Catterson Reserve. With the controls all to the north of the showground it was a tricky exercise to split the controls between the three runners in the team, with no choice but to send one runner to the far northern end of the map and it was a tough diplomatic exercise to work out who the poor sucker would be. In my team we had finishing times of 24, 40 and 44.5 minutes, so we had cleared the course within the 45 minute time limit, but not done a very good job at sharing the controls. The presentation night had about 70 attendees and mixed in with the prize giving, slideshows and video of events across the year was a good feed of roast chicken and beef, and sticky date pudding and pavlova! The great news was that there had been a very substantial increase in juniors achieving Wattle status this year, indicating that the sport had attracted a bunch of new kids! It was a great night with some great people, and Bennelong's club members managed to pick up a few awards too! Congratulations to the winners! Adam Halmy received a Banksia award for achieving more than 75 points in the year. The new Bennelong Northside club uniforms have arrived and last Wednesday at the Glebe Summer Series event Terry managed to snap a few members sporting their new gear! In our club colours, our new Trimtex gear is sure to keep us cool and looking sharp at orienteering events. For those who are yet to pick up their uniforms I will have it at the next couple of orienteering events. In case you didn't put an order in, we still have spare shirts in Mens S and M and Womens S and L, and also pants in M. Shirts are just $25 to members and pants are $30. Not your size? Let me know what you are after and we may be able to put in a second order if we get the numbers! Click the photo above for a better look at the new gear! Read more about Who's Lookin' Spunky?